Daniel Moreno, left, is in custody. 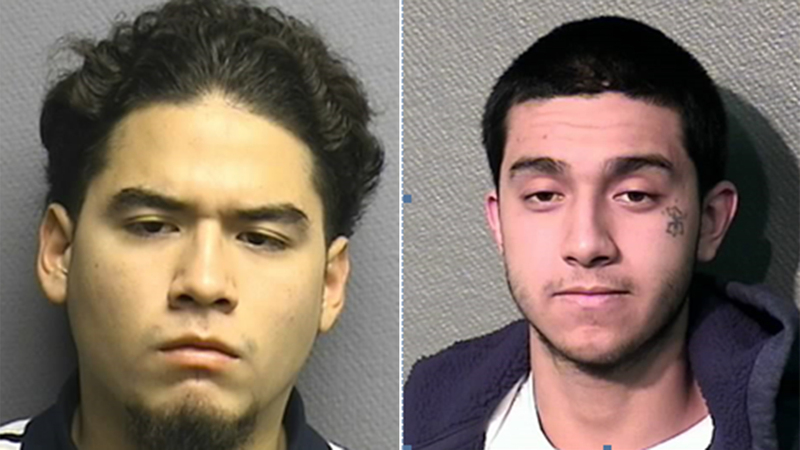 Jonathan Vasquez, right, remains on the loose. HOUSTON (KTRK) -- One man is in custody and another on the loose, charged in the ambush-style murder of a security guard in southwest Houston. Police revealed Tuesday that Daniel Moreno is in custody. Jonathan Vasquez is wanted. Both are charged with capital murder. They say last month, the two men shot and killed Saul Cruz, firing on his car as they approached. Police released surveillance video and they later received a Crime Stoppers tip. If you know where Vasquez is, call police.